So this is what we did on Christmas Day and Boxing Day. 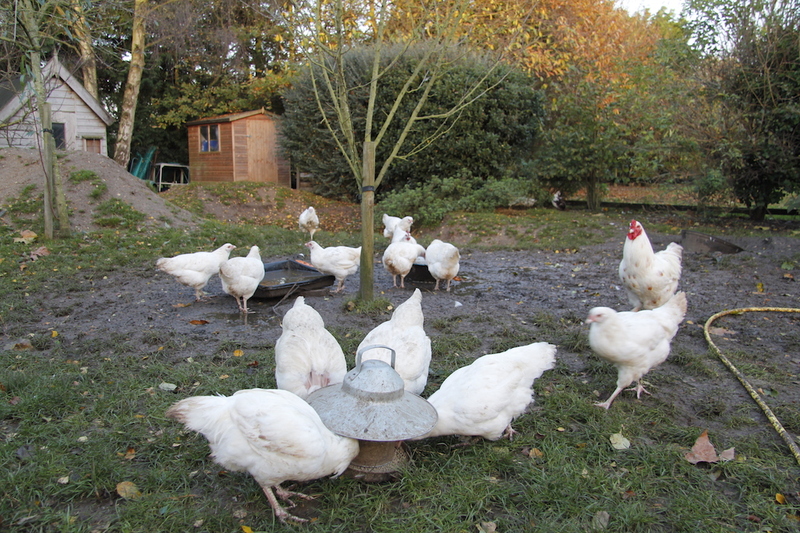 Our Christmas tradition is to build something or do a project – we both have a couple of days off at this time of year, everyone else is busy doing stuff so we can build things. 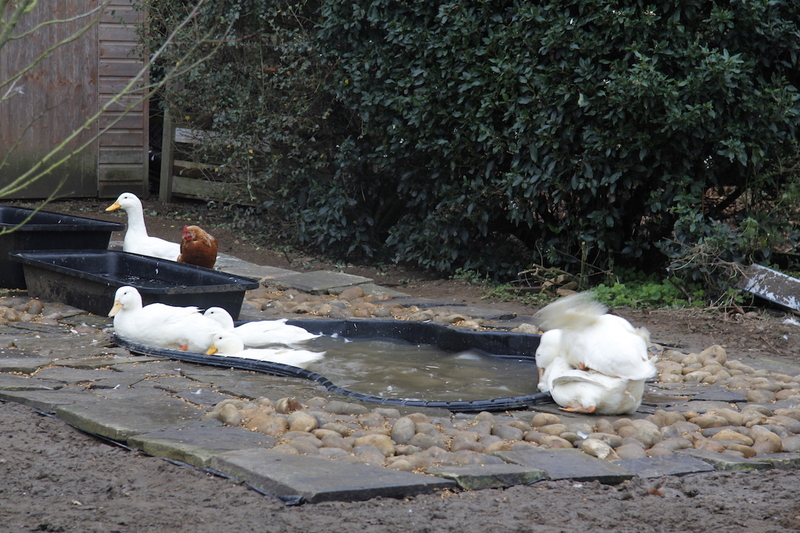 This year it was a duck pond. 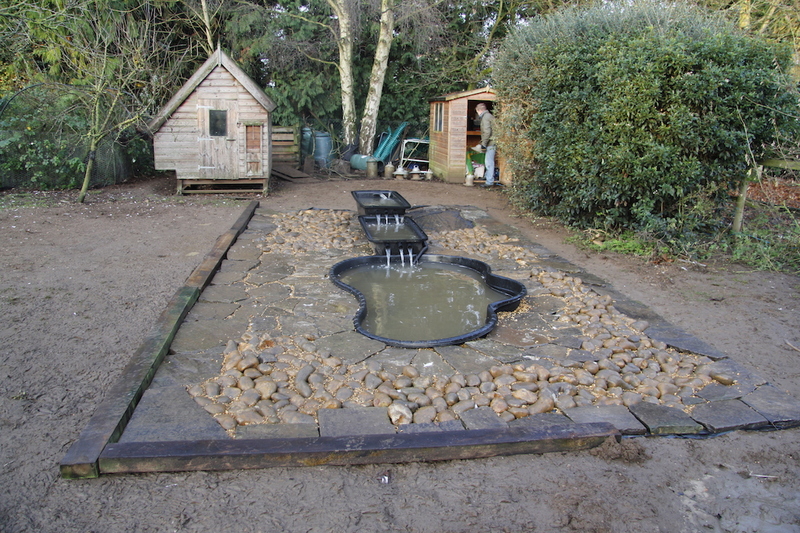 With the help of our friend Andrew we shifted two mountains of earth that a man with a digger had dug out of the pear garden many months ago when we really hadn’t finalised a duck pond plan. The hole he dug was much, much, much bigger than the pond we ended up getting! These were the mounds of earth before we started – the are much bigger than they look – especially when you are moving them with spades. This is an old photo as the Ixworths are in it. 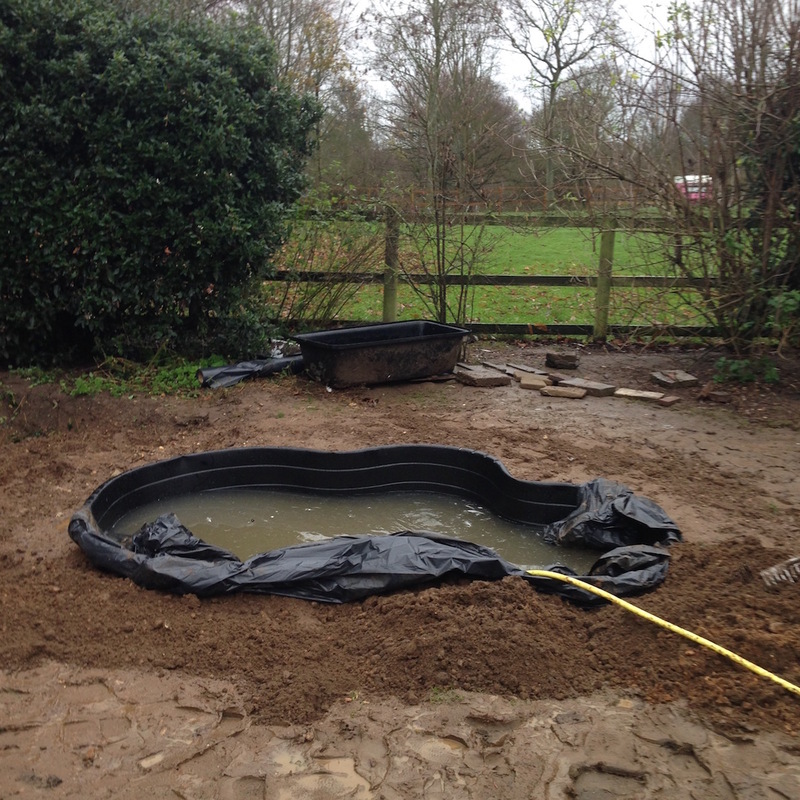 We dug and dug and set the pond although we didn’t realise that you need to fill a pond with water before you back fill around it or it bends due to the pressure of the earth – oh well – they ducks don’t mind. 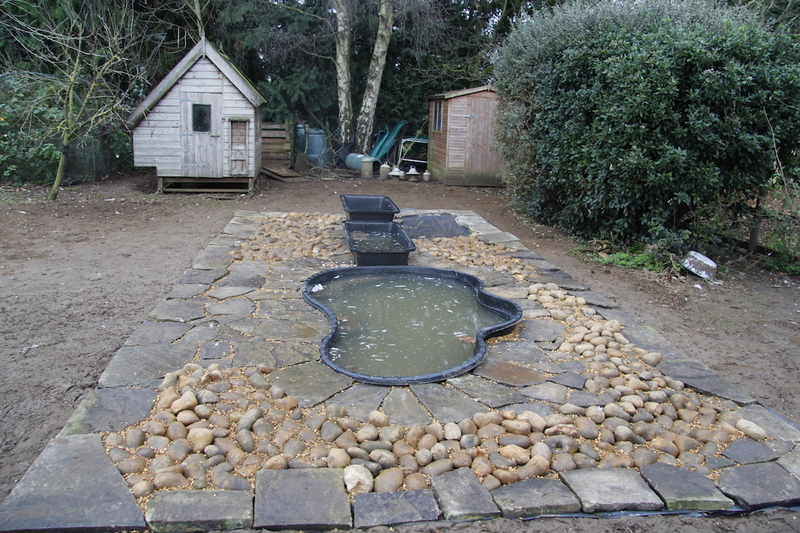 By the end of Christmas Day we had set the ponds and got rid of all the earth and started to lay the stones. and then yesterday James got the waterfalls running. 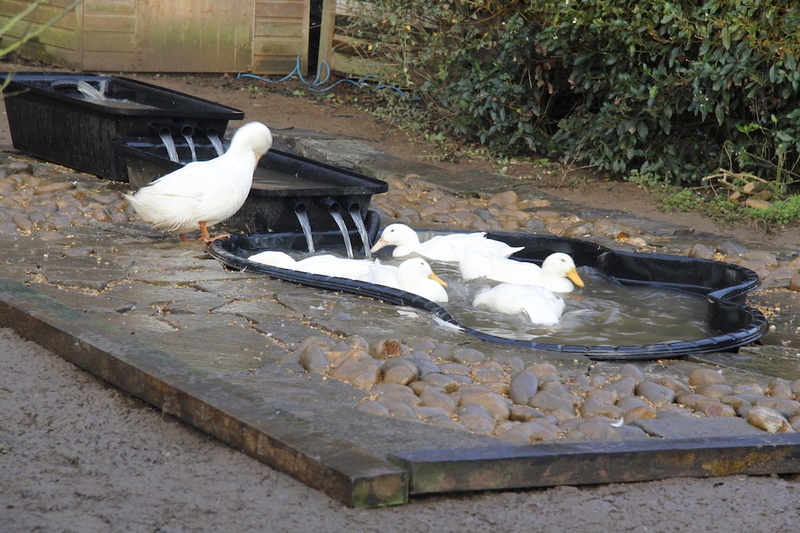 We will finish it off by regrassing the areas around the pond by cordoning them off from the ducks in rotation. They love it. I love that they love it. Best Christmas present ever ….. Here is another little video – aren’t I all technical today?? They love it so much they did what ducks do when they want to make ducklings! N.B. Big thank you to Andrew, we couldn’t have done it without you. Thank you – it was really hard work but totally worth it. We even gave up our Boxing day walk and lunch so we could finish it off for them! That’s beautiful! Happy ducks, happy wife, happy life. Looks great and much more fun than spending the day cooking and reading bad cracker jokes! Been there, done that, prefer to build things and eat pizza! Fabulous. Love love love. What sort of a pump did you use to keep water circulating or what’s happening there? Any pics of that? I’m inspired while listening to all the rain. i will found out what type it is – it is one that deals with debris well – this is all I know. I will ask James. 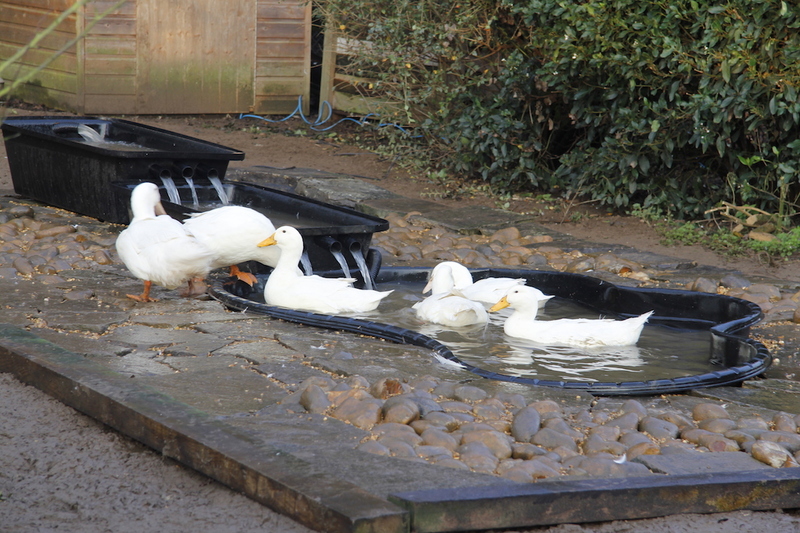 Hello, it is a pain to empty and clear but the ducks seem to like it. 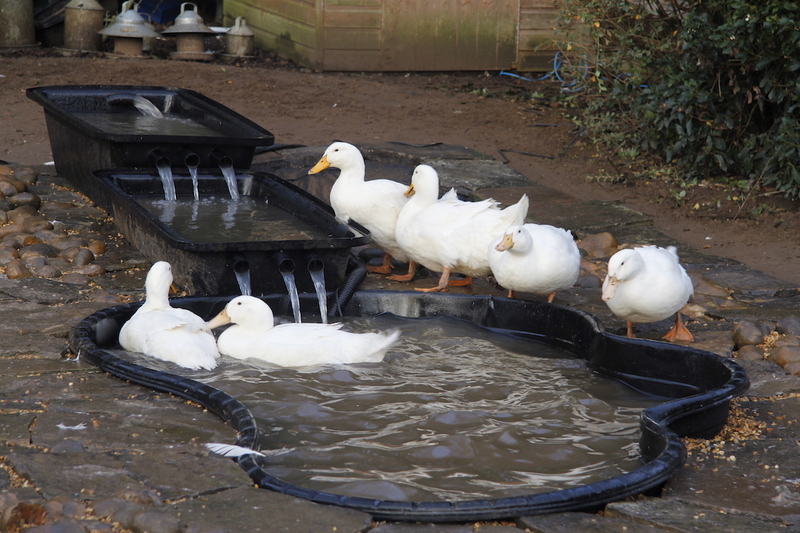 We have gone through a few water pumps it is hard to find one that effectively deals with duck sludge. 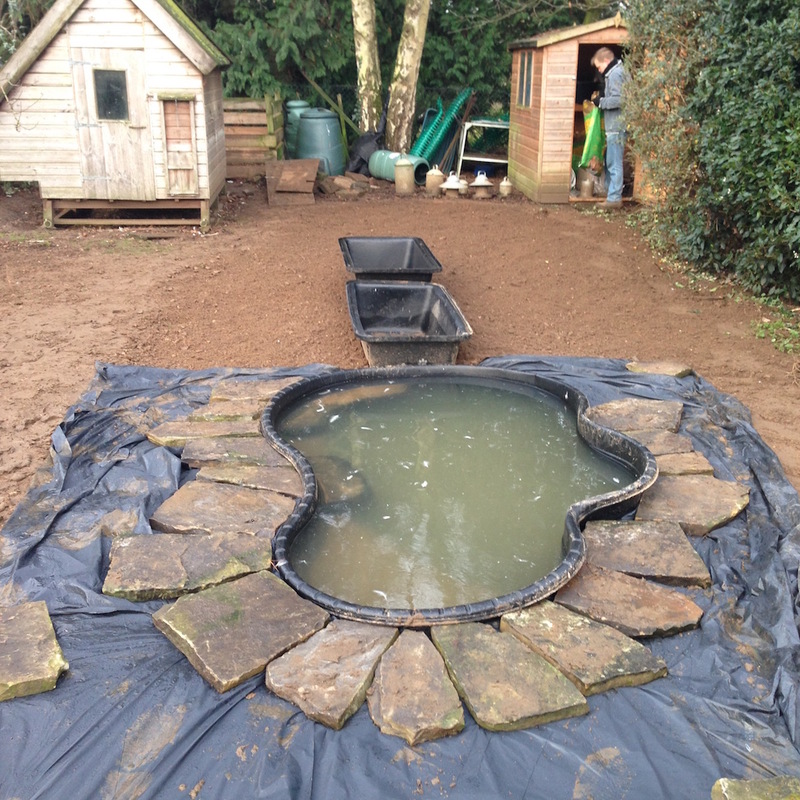 I think if we were doing it again, we might go for a shallower pond rather than one so deep. Might also get one that has a plug hole in that we connect to a weeper. Part of me thinks that the small pools we had before and filled up regularly were better.